This topic contains 16 replies, has 3 voices, and was last updated by Jason 1 month, 3 weeks ago. I installed the Qolsys IQ Hardwire 16 S and enrolled it and the attached wired sensors. Everything seemed to go fine, except I’m getting some strange warnings. The IQ panel is saying the Hardwire Translator was Open and bypassed when arming the system. Also, it is showing a low battery? The transformer is plugged into an outlet. I attached a backup battery, but it was showing low battery even before I attached the backup battery. Do you have a jumper wire between the tamper terminals on the HW16? It looks like the HW is reporting tamper as well. Try fully powering down the HW16, attach a jumper wire between the tamper terminals, then plug in the battery, then plug in the transformer. Afterward do a panel reboot. Any change? That seemed to work. Thank you. 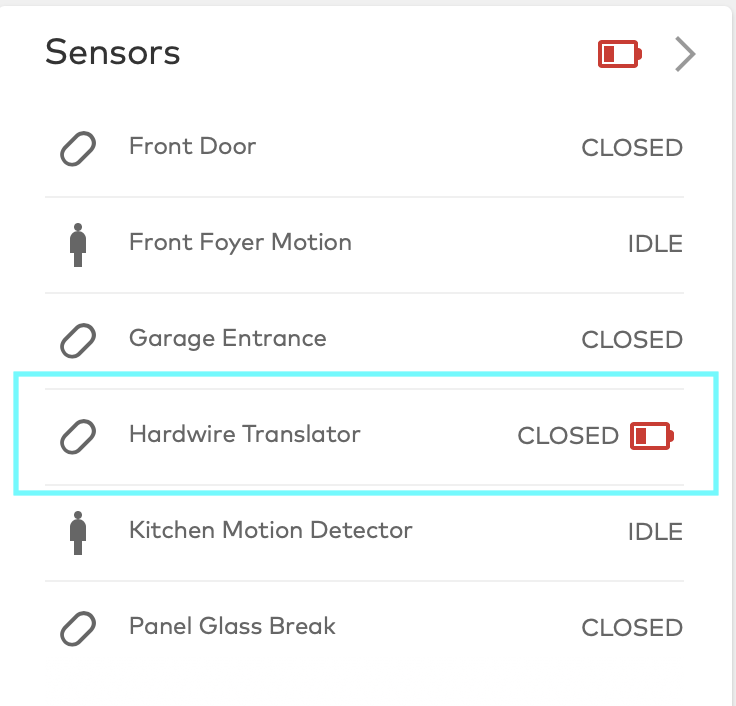 I’m having a new issue with a motion sensor wired to the Qolsys IQ Hardwire 16 S. About 10 minutes after I arm the system, the same motion sensor triggers an alarm. I just tested it again, and it triggered an alarm. What model of wired detector do you have installed? Do you have any pets? Are there any heating vents nearby the detector? It’s a DSC (I believe LC-100-PI). I do have pets, but they are not in that area. No heating vents by the detector. This sensor has been in the same place for 10 years, without issues. It started when I used the IQ Hardwire 16 S, and moved away from my DSC hardwire system last week. There are a couple things to consider if you are having a lot of false triggers on a wired sensor connected to the Hardwire 16. 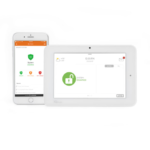 First, the HW16 learns in the circuit’s resistance value when you are learning the zone, so if that changes after installation, you can get tamper issues and/or alarms. If a loose wire is present, that may be resulting in an open zone intermittently. Double check the wiring at the sensor and at the hardwire 16. Lastly, is this sensor looking at the panel itself? Or is there anything new in its environment? It is not looking at the panel and there is nothing new in the environment. I’ll double check the wiring. I double checked the wiring and tightened everything down. It seemed to have worked until today. 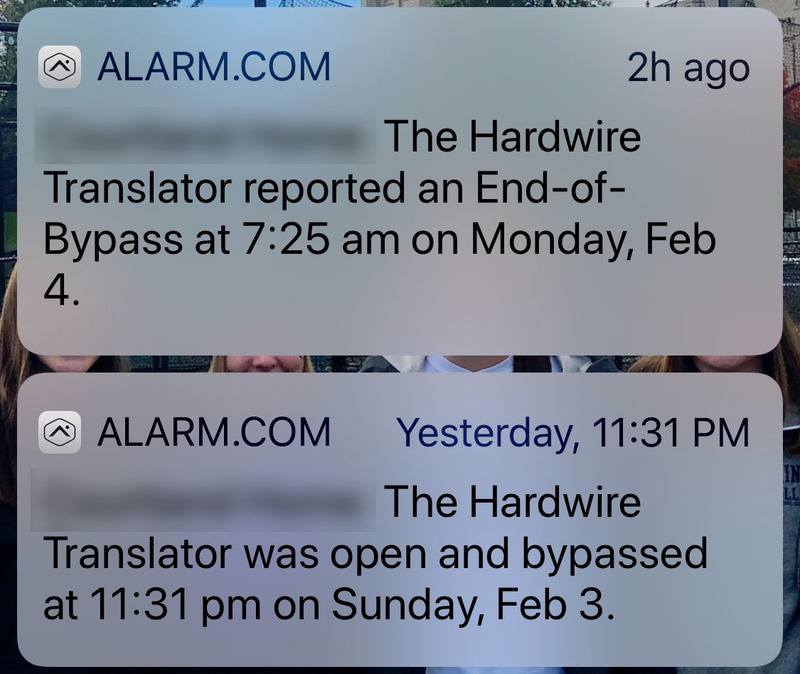 I received an Alarm notice for another sensor attached to the Hardwire 16S. It was a Garage Entrance Door “tamper”. It seems from the log, the door sensor went in and out of tamper within a minute and triggered an alarm. I’m really frustrated with these false alarms. Could the Hardwire 16S be loosing signal with the panel? It was a Garage Entrance Door “tamper”. It seems from the log, the door sensor went in and out of tamper within a minute and triggered an alarm. A “Tamper” on a sensor zone on the Hardwire 16 is the result of wired circuit resistance. Tamper does not indicate anything about the wireless signal between the Hardwire and the Panel. When you learn in zones into the Hardwire 16, the Hardwire 16 learns the resistance values of the zone circuits and uses that value to determine open/close and tamper. Tamper = A resistance value beyond the margin for error threshold (I believe +/- 5%) from the Closed resistance. This is a resistance value that the Hardwire 16 does not expect to see. The resistance on each zone must be between 1 and 10kohm. If you have a resistance value straddling those lines or outside of the accepted values, that might cause intermittent issues. Did you use the resistors that came with the Hardwire when connecting the zones? What is the resistance of the last zone circuit to throw a tamper? You can measure this between the two zone wires with a multimeter. I did use the supplied resistors on the motion sensors. The door sensors (and the one which reported a tamper) already had end of line resistors at the señor in the door frame. Also, would a tamper only be visible in the logs if the system was armed? Looking through the logs, it looks like this was the first time it registered a tamper since the Hardwire 16S was installed. A tamper will only cause an alarm if the system is armed at the time. However, a tamper will show in ADC history regardless of arming state. Did you move any of the wires around after first learning in the zones? Since the Hardwire learns the resistance of each circuit, you cannot move the wires from one zone to another afterward. I did not move the wires. When double checking the wiring for the motion sensor, I did tighten them down. Have you been able to confirm the resistance value on the circuits?